Children of all ages are welcome at Blue Poppy Dental Care: our entire team is focused on their care and comfort, and on making their dental visits a positive experience. It all starts when they walk through the door. After a warm welcome from our staff, they will be invited to make themselves comfortable in our reception area, which is filled with books, toys and activities for our young visitors. Older children and teens may enjoy having access to our free Wi-Fi. Whether children themselves have an appointment or are waiting for another family member, there is plenty to do in our comfortable front room! We recognise that a child’s earliest dental experiences can have a lifelong impact on their feelings about dentistry and their willingness to access dental care, and that we therefore have a great responsibility to make their dental appointments as calm, comfortable and enjoyable as possible. 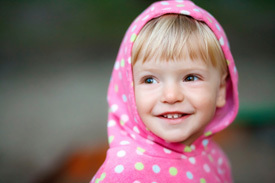 We welcome eligible children under the Medicare Child Dental Benefits Schedule. Children sometimes need a little extra time to get used to their surroundings, and a gentle, respectful dental team to encourage and support them through treatment. Our staff make this a particular priority when our youngest visitors are in the chair. Following their appointment, each child receives a dental goodie bag, complete with toothbrush, toothpaste and some fun surprises to encourage good tooth cleaning at home! The statistics are alarming: while dental diseases such as tooth decay are entirely preventable, children throughout Australia are experiencing plenty of decay from an early age. Since the late 1990s, the prevalence of decay in children has increased. In fact, “nearly 50% of 5-6 year olds have experienced decay”! We hope you’ll agree that it’s worth working hard to reverse these statistics! Contact us today to schedule your child’s next check-up.